This chapter proposes a two-input-and-one-output fuzzy controller for a two-wheeled mobile robot. The robot moves following a hybrid plan based on Genetic Algorithms and Constraint Satisfaction Problem techniques. The path yielded by this hybrid plan is structured by artificial beacons. In each position of these beacons, the current velocity of the controlled robot is by itself an input for the fuzzy controller. The second input is the time delay between the current position and the next sub goal to be reached. The proposed fuzzy controller aims to converge the time delay between positions in the path tracking closely to a time window. It gives the appropriate acceleration so that the time delay becomes closer to the time window. To enclose the capacity of an intelligent and autonomous agent (Hsu & Fu, 2000; Siegwart, Nourbaksh & Scaramuzza, 2011), a mobile robot needs a decision-making ability to react correctly in its environment. It should be in agreement with the state of its environment and with the received commands so that it operates successfully. The question that arises here is: how one can involve this capacity of decision-making into a mobile robot and essentially into its navigation program? To reply to this question one has to think about the architectural design of the mobile robot (Low, Leow & Ang, 2002). The robot architectural design is defined in three levels: the perception, the decision and the action. Then, it comes the level that consists of the decision making which is the part that focuses on how to answer the question. Decision making is essential for a mobile robot to know the best adopted strategy for its navigation. This is of course related to the navigation plan. Planning a path tracking of a mobile robot problem depends on satisfying a number of criteria (Khatib, Morris, Morris, Rossi, Sperduti & Venable, 2007; Cheng & Chen, 2012). Essentially, it should optimize a cost expressed not only in terms of the distance crossed by the robot in its configuration space but also by the duration or of the energy necessary for the execution of its movements. Sometimes, more than one criterion is considered. In this case, the approaches of that deal with the proposed problem are combined to yield a new hybrid way to solve the problem of the path tracking plan. Several cases of the mobile robot’s navigation need to work in scenarios. It means that the plan must be associated with distance and duration. Indeed, temporal constraints allow one to describe in a natural way problems arising in the navigation of the mobile robot (Breivik & Fossen, 2008; Dong, Chen, Chu, & Tarn, 2012). In literature, a wide variety of problems involve the manipulation of temporal information. This constraint can be viewed as having a bounded delay to execute a plan. It allows vehicles like mobile robot to move under time constraint. Such problems are the Vehicle: Routing Problem with Time Windows (VRPTW). The VRPTW can be described as the problem of designing the least cost routes from one depot to a set of geographically scattered points. The routes must be designed in such a way that each point is visited only once by exactly one vehicle within a given time interval, all routes start and end at the depot, and the total demands of all points on one particular route must not exceed the capacity of the vehicle (Hoong, Melvyn, & Kwong, 2003). To deal with the problem of temporal constraint in the time window, one has to define the navigation of the mobile robot within the time window by finding the nearest position of the goal to be reached from the current one respecting the imposed time window that may be the only option. In this case Classical techniques of Constraint Satisfaction Problem are the best way to solve this problem. In general, it seems that classical techniques proved to be insufficient to describe the planning problem in such definite terms as Constraint Satisfaction Problem. A simple example is the expression of preferences among the set of assignments. 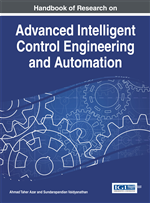 In recent years, increased efforts have been centered on developing intelligent control systems. These include the development of non-analytical methods of soft computing such as evolutionary computation and fuzzy logic. Those methods have proved to be effective in both fields: designing intelligent control systems and handling real-time uncertainty (Miguel & Shen, 2003). Mobile Robot: An automatic machine that is capable to move around in its environment and is not fixed to one physical location. Fuzzy Controller: A control system based on fuzzy logic. Time Window: a bound time calculated for a vehicle to go from two sites. Constraint Satisfaction Problems: Mathematical problems defined as a set of objects whose state must satisfy a number of constraints or limitations. Fuzzy Logic: A form of many-valued logic; it deals with reasoning that is approximate rather than fixed and exact. Path Tracking: A reference path followed by a mobile robot. Genetic Algorithms: A search heuristic that mimics the process of natural selection. This heuristic is used to generate useful solutions to optimization and search problems.